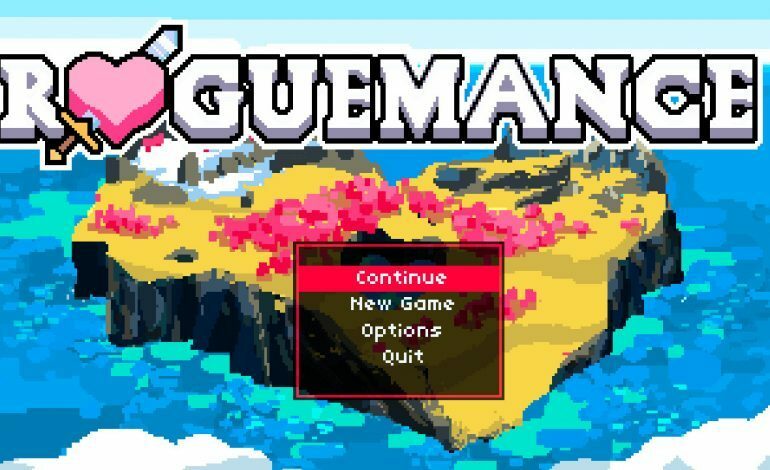 Roguemance is a roguelike adventure game created by Lucas Molina that satirizes romance, relationships, and fighting. This game proves that love certainly can hurt, and uses various romance tropes to emulate the absurdity of the concept itself. Each battle is executed within a romantic date, wherein attacking determines whether or not your opponent is the right person for you. There are two outcomes for each battle, which include compromise or death. These two extremes characterize love and rejection, while also proving that all players need compromise to succeed. The opponents that match the heart of the player will be joined as companions with special abilities. These companions aren’t guaranteed to stick with the player, though, as certain events may force them into stronger relationships with others, leaving players alone once again. Players must also keep their companions satiated and happy in order to keep them around. It is also possible to “break-up” with any of the companions players no longer care for on their journey. In an adventure through a heart-shaped island, there is certainly plenty of heart-break to be expected. The first alpha sign-ups for Roguemance were released last Valentine’s Day with the expectation of providing the full release a year later. As promised, the game is now available on Steam for $6.99, with a discounted price special for Valentine’s Day. With this game appealing to love cynics and optimists of all kind, there is something emotional in store for anyone brave enough to give these dates a fighting chance.